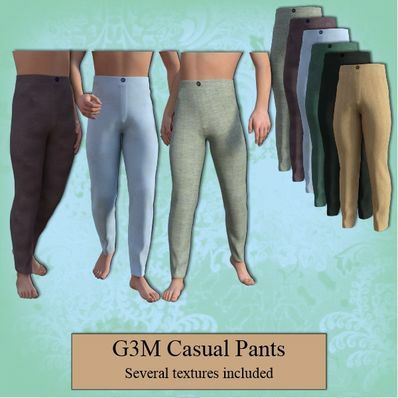 Casual Pants for Genesis 3 Male for use in Daz Studio 4.8. Unzip and copy the files to your "/My Library" folder. Thank you so very much, I really appreciate your generosity. Nice Pants! Thank you for this great clothes! Thank you very much for all your marvelous clothes! Happy Holidays, and a perfect 2016. Thanks muchly Dear Wendy. Happy Holidays to you and thanks for sharing your wonderful creativity. Thank you and a Happy Holiday wish to you and yours!!!! Niiiice! Thank you! Happy Holidays to all! Thank you for sharing. I wish you merry Christmas! Thank you kindly! Now my man can look spiffy :) Merry Christmas to you too! Thank you so much for this. The default board shorts only go so far!